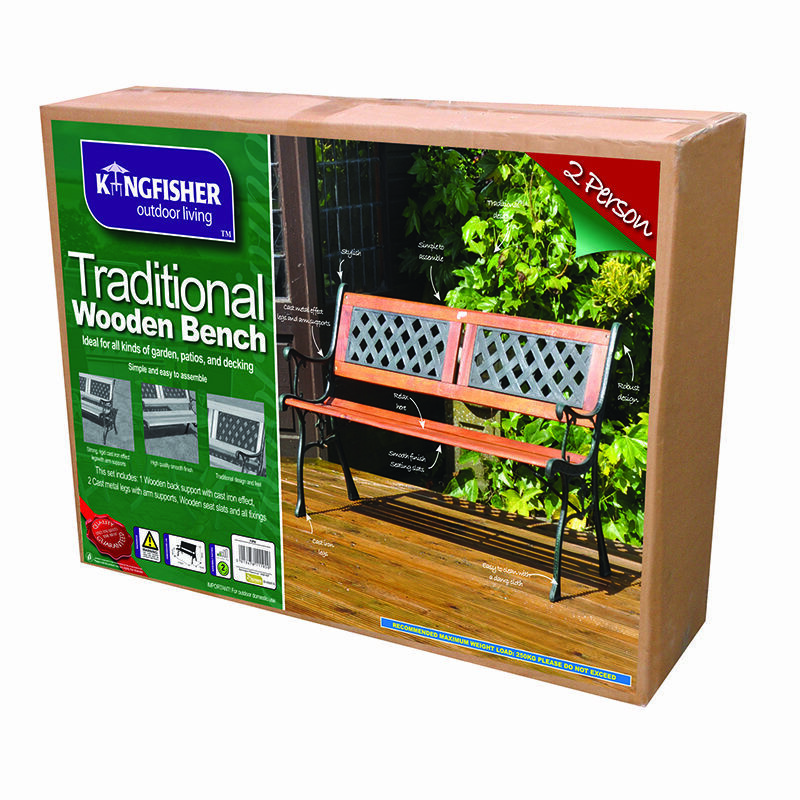 This elegant, quality-guaranteed Kingfisher 2 Seater Wooden Bench features beautiful lattice pattern back panels, made from durable polypropylene, and slatted seating that not only looks great but also is sturdy, durable and comfortable. 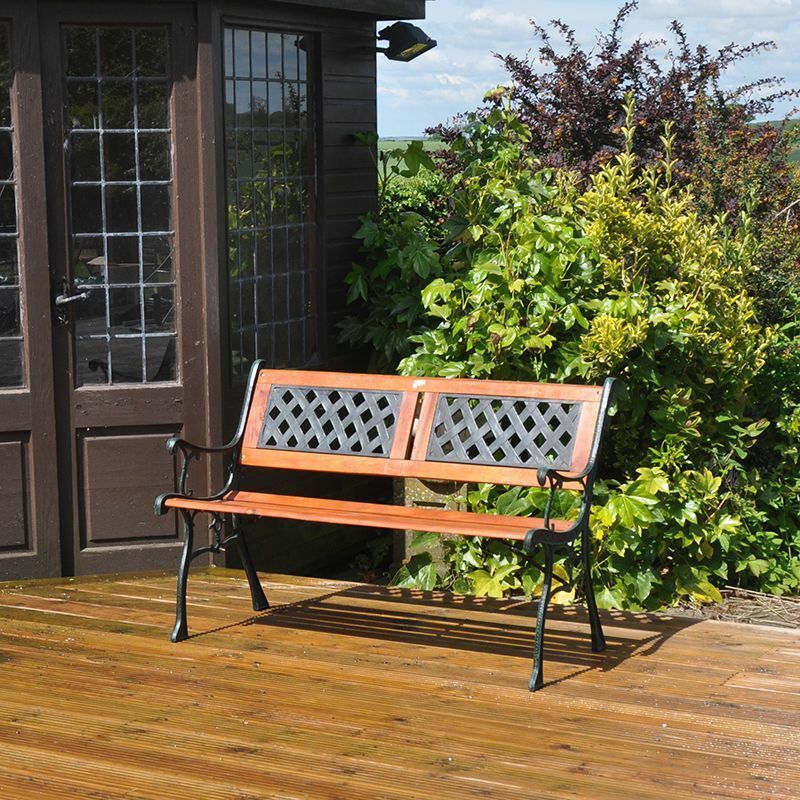 It is the perfect size for patios, balconies, decking and small gardens and a great place to unwind after a long day. 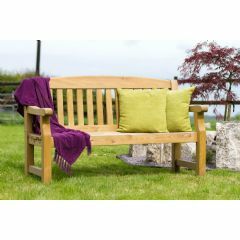 It makes a chic and practical addition to your outdoors and offers you comfort as you sit in style; why not invite your friends over to enjoy a glass of wine and a catch up. 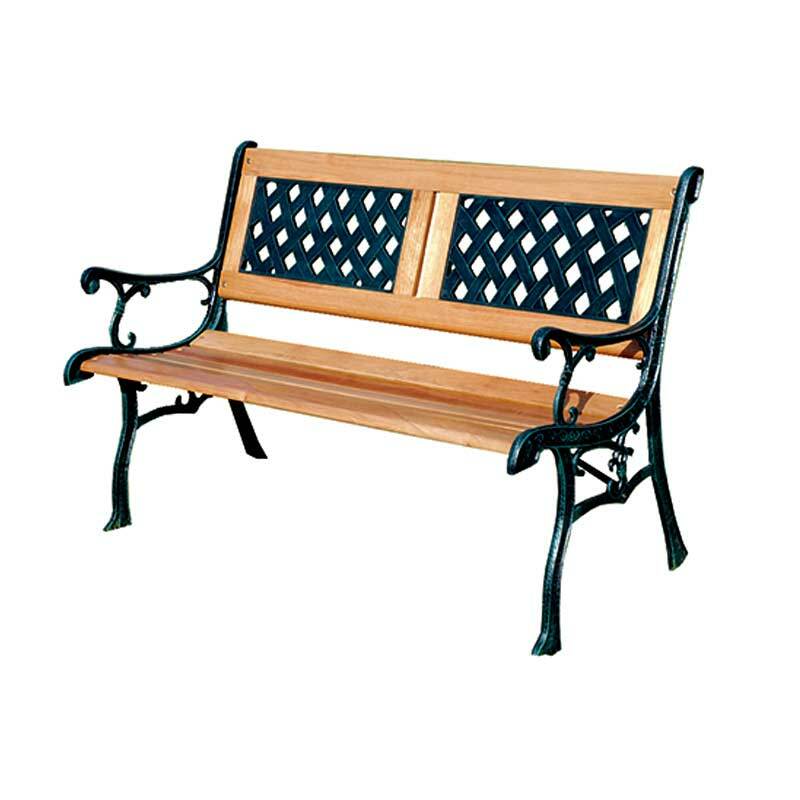 Made from quality hardwood with cast iron legs, arms and arm supports, this is an ideal outdoor bench suitable for use all year round.  Simple and easy to assemble and easy to clean, it is well worth the investment for its durability alone. A really neat bench which I have placed by the pond. No problems putting it together. Fantastic value and a nice sloping back, making it more comfortable. Strong, comfortable. Easy to fit together. I haven't built the bench yet as I need to treat the wood. My colleague bought some garden seats from a different source. 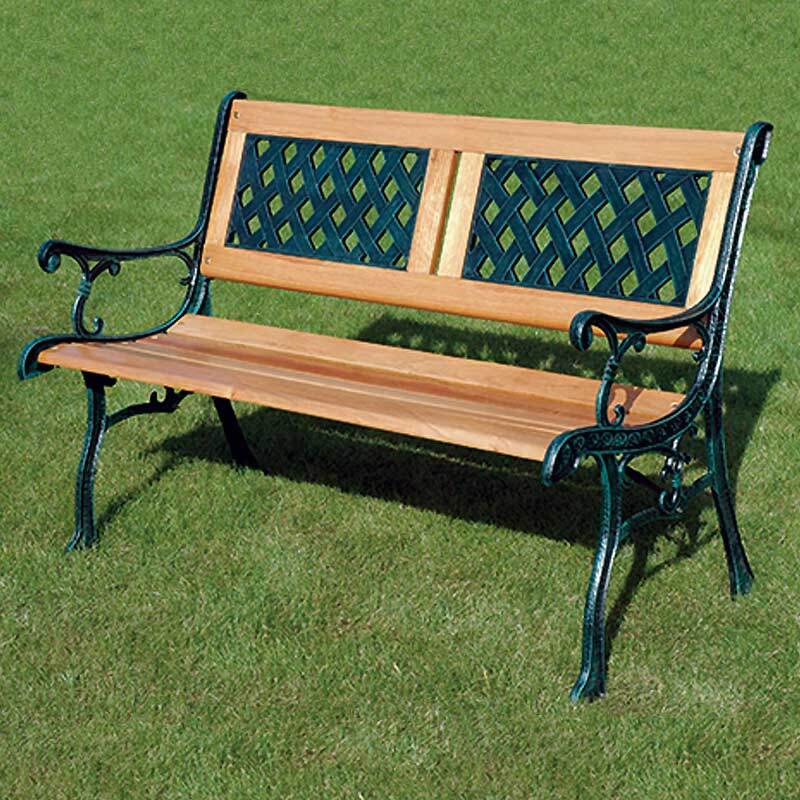 However This bench was far better value than his. It is stronger and will last far longer. Also the ease of assembly was a plus point. Very sturdy and great design. Easy to put together despite wording on instructions being very small. Delivery was extremely fast and efficient. Very pleased with product. 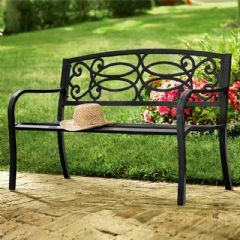 This garden seat is easy to assemble, and is a stylish and comfortable addition to the garden. Great value, and good service. The seat was easily assembled, of good quality at a low price, and is a welcome addition to the patio. All that is required now is sunshine. 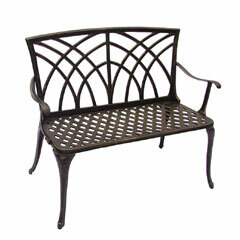 very please with the bench,well worth the money, look good in the garden.